I get multiple calls per week asking me what I think about Real Geeks. This tells me there are a lot of people looking at the platform. I tend to get the call because I’ve had one of the most trafficked sites within the Real Geeks ecosystem. Most people know that I’ve recommended Real Geeks for years…not because I know Jeff Manson…because it’s actually had a significant impact on the growth of my companies. We do roughly 1500 buyer sales per year and most of them are leads that come through one of my many Real Geeks websites. In order to make sure I share my honest opinion of Real Geeks with as many people as possible, I thought I would put my thoughts on this blog. I hope you find it helpful!!! I have had so many different sites over the years. I’ve used Boomtown, Tiger Leads, Real Estate Webmasters, Kunversion (KV Core) and others. Though I think all of them had some good features, I feel that Real Geeks has the most value. I’m sure I could point out that every website provider had a feature that the other had but in the end, they all had similar functionality so why pay thousands when you could pay so much less with Real Geeks. I am not a tech guy. I am not a web designer and I am not an SEO expert. Most of the competing companies were too complicated for me. The RG platform was owner friendly therefore simple to get up and running and convert my traffic to leads. It may sound odd but I have had buyer leads go out of their way to tell me how easy my site is to use. I think that’s a good sign. I also know that once leads get into my system, they seem to engage at a higher level than other sites. They search more on my Real Geeks site than on my other sites. There are many companies that charge hundreds to use a social media posting tool. Then, you have to integrate it with your RG site…remember, I’m no techie so I would be lost if I had to do that. Social media functionality is built in and allows me to boast listings and attract leads into my funnel and kick off campaigns. This is so important for real estate agents today. And yes, I understand there are other sites that have this functionality but the cost per month is way more. Real Geeks gives me the ability to save market report searches for my future sellers. I’ve uploaded thousands of property owners into RG that own property and they are receiving a market activity report for their neighborhood every month. It’s motivating to see how many open the report each month. This Real Geek feature alone generates me listing business. While most people choose Real Geeks because of its buyer lead functionality, I further leverage it for listings. When you demo….make sure you have them tell you about this feature. You take the time to do this and you will get listing leads. I’m not talking about the website itself, I’m talking about the Real Geeks Support Staff. I’ve been with other website providers who would take forever to get back to me every time I needed something. Or they would try to up-sell me on some additional product. That drives me nuts. The support team with RG is great. They are responsive to my needs and they know their products so well that it doesn’t take much time to fix or make a change. Usually, if they have to fix something, it’s because I broke it versus it breaking. I enjoy being a part of the Real Geeks Facebook Mastermind Group. This is a closed group where RG website owners are sharing best practices. It’s the best closed FB group I’m a part of. There are some mega producers in the group that share unconditionally. I don’t want to give RG any ideas but being a part of that group alone is worth paying every month. I’m not sure how they got the group to communicate so well but they did. So many people are able to build out RG websites themselves. I am able to have staff do it each time I get a new site. That in itself can save you thousands of dollars. There is nothing wrong with hiring someone to help but you can do it yourself if you choose. One of my sites has hundreds of community pages. And, they rank organically which produces a lot of leads. Of course, SEO and ranking take skills but the fact I was able to build a page for almost every neighborhood in my market makes my site the authority in my marketplace. There are many sites that are limited or charge you more if you want to build a lot of pages. My agents love the RG websites so much that I think they would quit if I were to make a change. They have taken the time to master the functionality and use it as a real tool to manage and grow their business. We have approximately 100,000+ people in our Real Geeks CRM because my agents use it as their main CRM. They like it so much that they dump all leads into the system. Even leads that come from other sources like Zillow, Trulia, their COI and more go into our RG site. Worth noting…I currently have offices and teams in multiple markets. That requires me to have multiple websites. I have about 8 Real Geeks websites now. There is no possible way I would ever have that many Real Geeks websites if I wasn’t 100% convinced that they were the best. 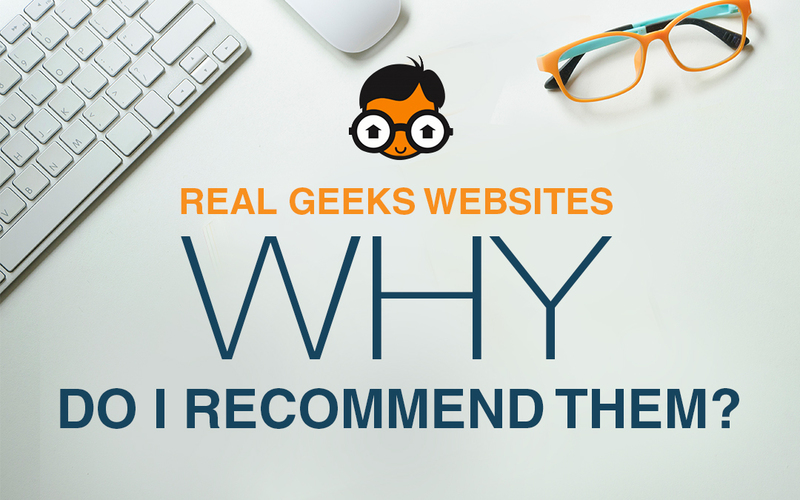 If you are looking for a web solution, I highly recommend Real Geeks. I am sure you assumed I would say that after reading the list above. But, I wanted to provide you a real answer to why I recommend versus just telling you to go out and buy it. I do not personally do Real Geeks Demos because I am not an employee nor am I a sales person for the company. I’m just a raving fan. If you do want to demo….tell them you know Greg Harrelson. Heck, tell them we are best friends if you want…probably won’t make a difference. Seriously though …. you should check it out if you are looking for a new website that converts.